Which Chainsaw Is Right for You? Stihl vs. Husqvarna is to loggers what Ford vs. Chevy is to street racers. If you talk to ten random loggers, you'll find about a 50/50 split between those who prefer Stihl chainsaws and those who prefer Husqvarna. Everyone has their own rationale for why they prefer one brand over the other, but at the end of the day, both brands have several high-quality, professional-grade models that perform well in the woods. The choice is up to you. Before selecting a brand, try models of comparable size and power from both companies to gauge which you prefer. There is an easy and inexpensive way to do this. A lot of equipment rental companies rent Stihl and Husqvarna chainsaws by the hour or day. While you may not find the exact model you're looking for, you can get a feel for each brand by testing saws with comparable specifications and features. Before renting, be sure to ask how many hours each saw has clocked and how old each one is. If you compare chainsaws that are significantly different in age, you will get skewed results. It's also a good idea to run each saw for a full day to get a good sense of all its features and benefits. After using each chainsaw, write a list of the things you liked and disliked about each. When you take the saw back to the rental store, ask the shop mechanic for an opinion on which saw requires more maintenance and which brand they prefer. It's also a good idea to ask other loggers or arborists what brand of chainsaw they prefer and why. After you compare all of your notes, you're ready to purchase the brand that suits you best. 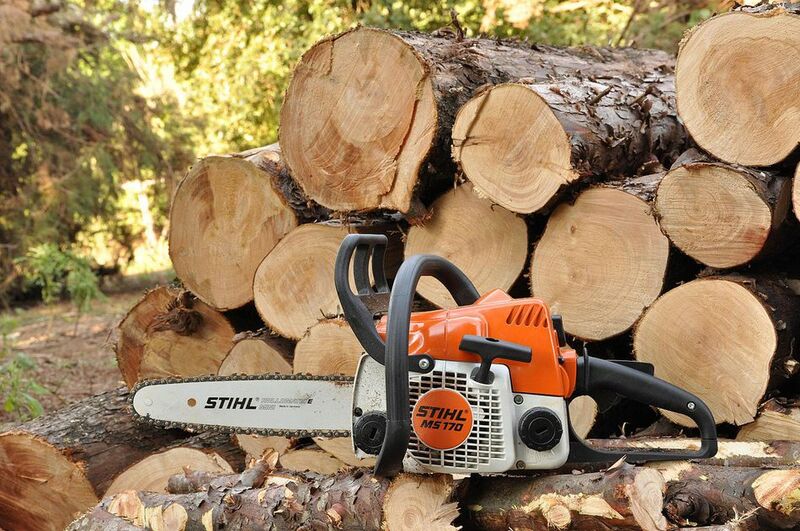 Husqvarna and Stihl are widely regarded as the two best manufacturers of chainsaws in the world. Either brand is likely to provide superior performance to nearly any other consumer brand on the market. In widespread surveys of both homeowners and professional loggers, preferences are split nearly 50-50 between these two brands. And both manufacturers offer many different models to appeal to just about any user. Husqvarna is the world’s largest and oldest manufacturer of power tools, founded in Sweden in the 1690s as a musket manufacturer. It is named for the Swedish town where it originated and has been manufacturing quality chainsaws since 1959. This brand has a reputation for cutting faster than Stihl. Husqvarna saws are easier to buy online. Larger fuel tanks allow for longer operating time. The X-TORQ technology makes these saws more fuel-efficient, with lower exhaust emissions. Husqvara saws tend to be preferred by professionals. Stihl is a German power tool company founded in 1926 in Stuttgart. Still privately owned, the company is now headquartered in Virginia Beach, Virginia. The company employs more than 2,100 people in the U.S. alone, most of which work at the Virginia manufacturing factory It manufactured its first one-man chainsaws in the 1950s. Many users say that Stihl has more low-end torque, making it a better choice for tough cutting. A smaller fuel tank reduces the weight of the saw, making for easier handling. However, this means reduced operating time per fill-up. Stihl chainsaws tend to cost less than Husqvarna. Stihl has a reputation for requiring less routine maintenance. Stihl saws tend to be preferred by homeowners. Everyone's experience is different depending on their specific needs and demands. Some simply prefer the torque and low maintenance of a Stihl, while others prefer the hardiness and long operating time of a Husqvarna. The most important factor is that the chainsaw does its job properly and safely. A good chainsaw will help increase your production and output. It will also minimize how many times you need to tighten or change chains. If you keep up with the recommended maintenance and necessary repairs, either brand will last you for many years.